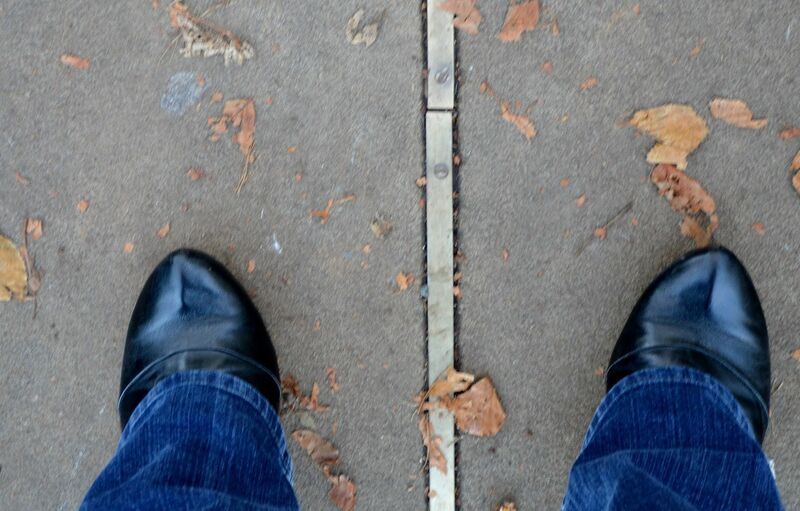 I am standing "on" the Greenwich Meridian ... in other words 0' latitude. So you were in 2 time zones at once? Cool! Hadn't thought about that! ... just thought about being where time is actually set! It was fun to be there. I remember visiting there in the late 1980's. It was such an amazing high to do exactly what you were doing in the photo. So silly, really, but such fun! Thanks - it's nice to be silly, but to actually do these things. Then we know we were actually there. How cool, picture as well as answer to this prompt! Thanks - I was glad I took the picture ... and especially when I saw the prompt! and those really look like great shoes! I like this photo. I like the angle of it. Those shoes are comfy .... when spending a day sight-seeing it's something you need!